Outsource and learn to ask for help. Entrepreneurs are used to running their business solo, but when personal crises arise, you may need to consider recruiting some back up. Marianne O’Connor credits her staff with helping to keep her creative PR agency, Sterling Communications, alive after her daughter became ill in the fall of 2010. Although the company didn’t grow during the three-year period that her daughter was ill, O’Connor says her team stepped up, allowing her to focus on taking her daughter to doctors’ appointments and caring for her at home. “Entrepreneurs tend to be ‘I can handle this’ types, but you’ll get through any personal crisis better and faster if you share the burden,” says O’Connor. “The people around you – colleagues, friends and family – want to help, so let them.” Find the things that can easily be taken off your plate and transferred to someone else so you can dedicate your time to only focusing on the most important things that only you can take care of. Be honest with clients and customers. If you find you aren’t able to go about your business as usual, alerting clients to your situation is the best thing to do to avoid any misunderstandings. Most people are understanding of those going through tough personal times. Reassure them that their business is still important to you and tell them what level of service they can expect to receive from you during this time. Focus on maintaining relationships with key clients. Margaret Reynolds was diagnosed with breast cancer at a time when business was booming. “My pipeline was full for the next six months,” she says. She continued to work as much as she could but shortened her working hours when she felt weakened by the treatments. “I focused my limited time on serving clients – those already on the books – over my other role of rainmaking,” she says. There’s nothing like a personal tragedy to cause you to reflect upon the things that are important in your life and to realize what makes you tick. Reynolds realized how much she enjoyed her work and relied on her love for her work to get her through the tough times. “Work helped me stay grounded,” she says. 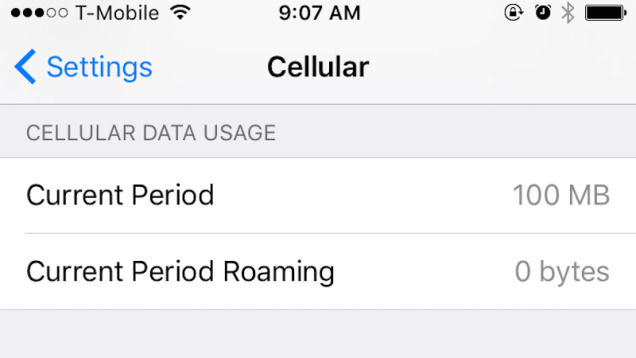 Wi-Fi Assist is a cool little feature in iOS 9 where your phone switches over to your cellular network when your Wi-Fi connection is crappy. Unfortunately, some users, including Mike Murphy over on Quartz, are reporting that it’s eating through their data plan. Posted by Rstanley & filed under Business.